Let’s start by talking about what fast fashion actually is. 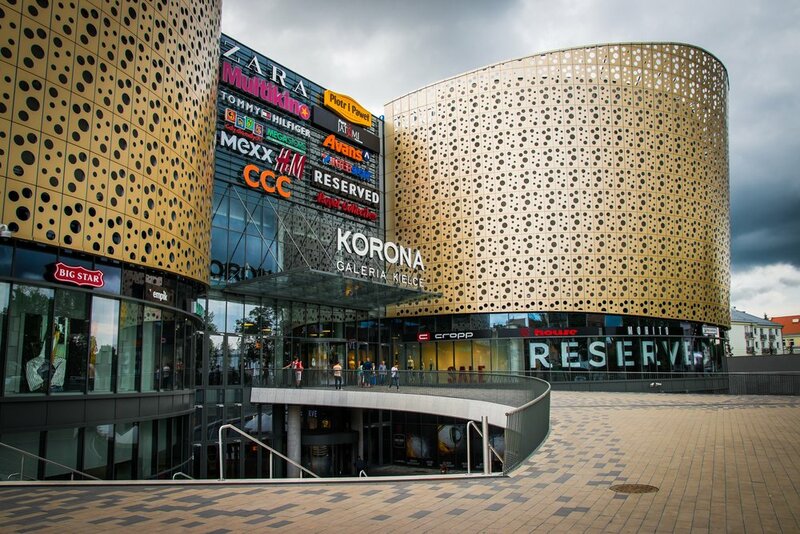 Fast fashion is a recent phenomenon in the fashion industry, whereby the production of new garments is expedited in order to get new trends to the market as quickly and cheaply as possible. It is epitomised by the massive, corporate giants which dominate the high street. That’s right, we’re talking about all the major brands like H&M, Zara, Mango, Nike, Primark, Topshop/Topman - the list goes on. Unfortunately, the practices surrounding the fast fashion phenomenon have far reaching consequences. The majority of modern day retailers exploit the developing world and pollute the natural world, all to make sure you are seduced by their latest garment and keep coming back for more. On my journey to a more conscious lifestyle, my spending habits were one of the first things I looked at and where I made some big changes. Over the past two years, I have slowly phased out fast fashion, and I now almost exclusively buy my clothes second hand. The times where this is not possible, I buy new things from retailers that I am confident have ethical and sustainable practices in place and stand for my values. Yes, this does mean putting more time and effort into researching brands and no longer relying on the high street. Here are the five main reasons I made this change, and why you should to. The fashion industry is the second most polluting industry in the world, behind only big oil. The world now consumes a staggering 80 billion pieces of clothing each year and the environmental impact of this is astounding. Have you ever stopped to think about the resources that go into creating ‘stuff’? How far it travelled to arrive in your hands? There is potential environmental damage at all stages of the supply chain. Let’s start with the production process. To grow natural fibres, there is the massive use of chemicals and pesticides. More chemical pesticides are used for the growth of cotton than any other crop. Then there’s water - it takes 2700 litres of water to produce one cotton t shirt. To produce synthetic fibres we rely on oil. Polyester production for textiles released about 706 billion kg (1.5 trillion pounds) of greenhouse gases in 2015, the equivalent of 185 coal-fired power plants' annual emissions. Then there’s the transportation - the carbon footprint of shipping and flying garments across the world. And finally, there's the disposal of garments - which more often than not end up in landfill as waste. An estimated 235 million items of clothing will end up in UK landfill sites this year. There are so many human rights issues surrounding the fashion industry. Fast fashion has engendered a race to the bottom, pushing companies to find ever-cheaper sources of labour. As a result, corporate retailers strategically place their factories in the developing world, where cheap labour is abundant and out of the view of consumers. Approximately 75 million people work to make our clothes. 80% of them are women between the ages of 18 and 35. The vast majority of these employees are not paid a basic living wage, and are subjected to dangerous working conditions. Child labour is another issue. The ILO estimates that 170 million children around the world are engaged in child labour, with many making textiles and garments to satisfy the demand of consumers in Europe, the US, and beyond. Another deeply saddening statistic is the rate of suicide amongst Indian cotton farmers. Over 250,000 Indian cotton farmers have committed suicide in the last 15 years. This is partly as a result of going into debt to buy genetically modified cotton seeds, courtesy of Monsanto. This, and many more harrowing statistics, is more than enough reason to boycott fast fashion. How you choose to spend your money says a lot about the world you want to create. Consumerism is a powerful cultural force which is negatively impacting our well being and distorting our sense of value while simultaneously wreaking havoc on our planet. Society has come to expect fashion to be cheap and disposable, without considering how this impacts our world and other human beings. Part of the reason why we throw away so much clothing is because we no longer bother to repair a lost button, or resole a worn-out shoe. If clothing feels cheap, fast, and disposable, that’s how we treat it. This, and the fact that so many cheap replacements are readily available, contributes to an increasingly materialistic world. When you stop buying fast fashion, you begin to value of each item in your closet much more, and are far more likely to get as much use out of it as possible. Consumerism is a powerful cultural force which is negatively impacting our well being and distorting our sense of value while simultaneously wreaking havoc on our planet. Fast fashion feeds on your insecurities and anxieties, convincing you that you must have the latest fashion trend to feel good about yourself. It also promotes instant gratification and impulse buying. None of these things are good for our mental health or our overall life satisfaction - in fact it’s quite the opposite. By boycotting fast fashion, you’ll become less concerned with comparing yourself with others, which is often a source of unhappiness. In addition, buying more often leads to dissatisfaction, as the ‘thrill’ of the purchase wears off. Not only does reducing your level of consumption and refocusing your attention and time towards things that really matter result in an increase your overall wellbeing, it also results in a more sustainable lifestyle. There is literally so much ‘stuff’ on our planet that already exists. You only have to step foot in a second hand or charity store to realise we are overloaded with mountains of clothing. Why is it necessary to make more? Many of the second hand and vintage garments you can buy now are more fashionable and a much higher quality that the cheap new items available on the high street. Plus, there's something truly satisfying about finding a great second hand piece of clothing, and knowing you are actively contributing to a less wasteful society. Is 2018 the year you give up fast fashion? 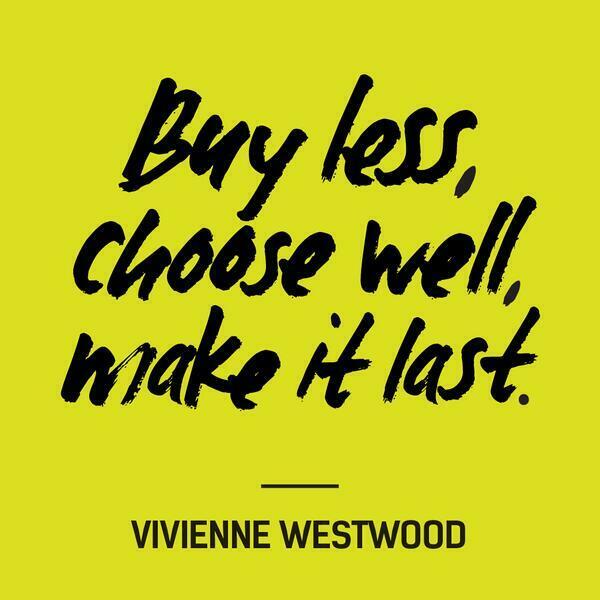 Looking forward to 2018 and your new year's resolution, why not decide to give up fast fashion, and see what benefits you experience? Start by really thinking about whether you need that new item by waiting a few weeks to see if you still need it. Then, think about whether you could buy that item second hand instead. And if you are still convinced you need something new, why not find an ethical, fair trade brand which stands for your values and is made to last. Want to know more about this topic? I highly recommend watching The True Cost on Netflix. Click below to watch!